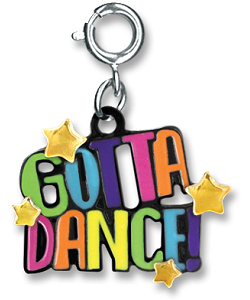 If the rhythm of the music just sets your feet to dancing, then this fun CHARM IT! 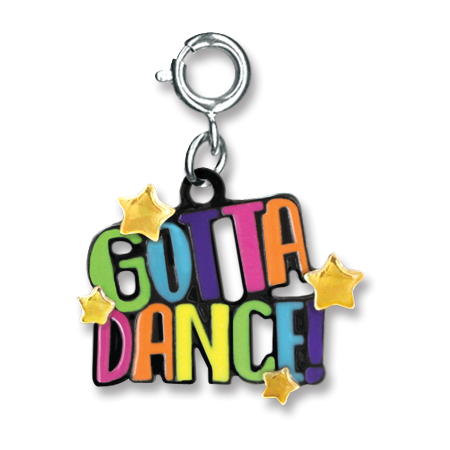 Gotta Dance charm was made for you! With GOTTA DANCE in a rainbow of enamel colors - lime green, turquoise blue, purple, hot pink, orange, and yellow, studded by gold-tone stars, you'll be itching to boogie just looking at the festive message and layout of this colorful charm. This CHARM IT! Gotta Dance charm is sure to delight the dancer in your life and is a great way to add a splash of peppy personality to your charm bracelet with a simple snap of the clasp. This beautiful Glitter Tutu charm has pink enamel bodice, glittery dark pink tutu, and sparkly purple acrylic stones.